The study found that the most fatal bird strikes are happening in Chicago. Houston and Dallas are the next cities to top the list as the most lethal. One of the study's authors, Kyle Horton, a postdoctoral fellow at Cornell University, called the cities a "hotspot of migratory action," adding, "they are sitting in this primary central corridor that most birds are moving through spring and fall." New York City, Los Angeles, St. Louis and Minneapolis are also dangerous cities for birds, all in the top 10 of the list for both migration periods. Collisions are the most prevalent during the two migration periods, one in the spring and one in the fall. More than 4 billion birds migrate across the United States per migration period, according to Horton. For Chicago, more than 250 different bird species migrate through the city, adding up to 5 million overall for each migration period. "Many of these birds are already in serious decline for other reasons," said Annette Prince, director of the Chicago Bird Collision Monitors, a local conservation group. "So when they're hitting buildings, this is adding to the loss of the healthy members of their species by needless collision." Prince's organization finds 5,000 to 6,000 birds per year in the 1-square-mile they search in downtown Chicago. Sixty percent of the birds they find are dead upon impact. Another study published last week found that some bird species are more likely to fall suspect to building collisions. Songbirds that produce faint chirps – called flight calls – during nighttime migration collide with lit buildings more often than other species that don't produce the chirps, according to a study by researchers at the University of Michigan. This is because data shows the birds disoriented by the artificial light send out flight calls, luring other birds to their inevitable death. 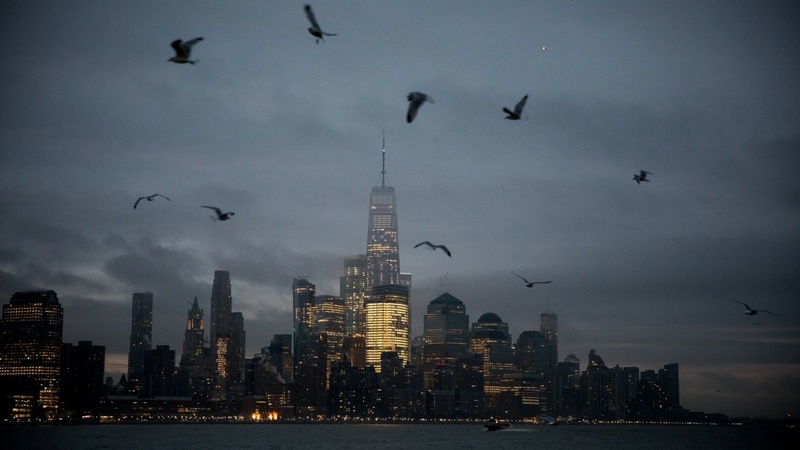 In recent years, there have been efforts to cut down on lethal collisions of birds into skyscrapers. The National Audubon Society runs a "Lights Out" campaign and partners with local chapters to promote individuals to turn off their lights from 11 p.m. to dawn during migration periods. Prince said reducing urban light is extremely important in the effort to cut down on building collisions. "At night when the majority of these birds migrate they have a fatal attraction to the urban areas," she said. But suburban areas are also impacted. "It's not just the skyscrapers that are the issue, it could be, you know, residences," Horton said. "So if you can turn off your lights it can make a difference at a local level as well." The Cornell Lab of Ornithology also has a map showing bird migrations in real time, so individuals can go onto the website and see when they should turn off their lights. "It's within our power to make sure that we give these birds a better chance," Prince said. "They really do deserve a better fate."